Miami-Dade has been known to be one of the housing frontiers of the country. 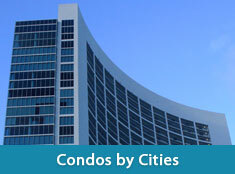 Its accessibility to booming economies makes it an attractive sight and an easy target for the nouveau-riche. With recent reports of increasing home values, more and more properties, especially condominiums, are filling in the lack of inventory. Yet while condos are certainly attractive buys, homes that feature their own brand of luxury have an appeal of their own. 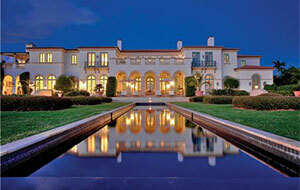 This list compiles the five most expensive ones in the area. 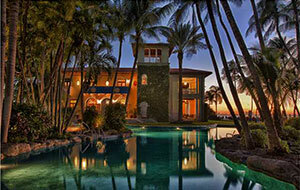 La Gorce boasts an island community that thrives in utmost elegance and style. It is only likely for it to host some of the most alluring properties in the Miami-Dade County, and one of such properties is the $37 million 42 La Gorce CR. Boasting 16,977 square feet, the single-family home comprises of eight bedrooms and nine-plus-2 baths in the main house. The property has a separated guest house with one bedroom and three baths, a guest or staff apartment with two bedrooms and two baths, and its very own gym. The home takes advantage of the waterfront view and bay access with three docks and a room spacious enough to house a large yacht. And with its on-property guard house, future residents can definitely rest with the security that their safety is watched closely. The 17 Indian Creek is yet another luxury home that comes with a $38 million price tag. The 16,070-square-fot property is located in the Indian Creek Golf Club and features a Mediterranean-revival style architecture complete with a pool frontage. This “golfer and yachtsman paradise” is the paragon of waterfront living with its classic style from architect, Jeffrey W. Smith and Interior Designer, Mario Buatta. 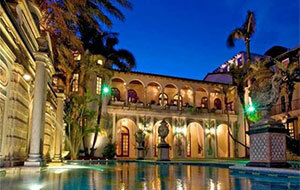 The home at 5800 N Bay Rd is yet another luxury property in La Gorce available for $40 million. The Mediterranean home is a two story estate located at the La Gorce Golf Subdivision and features a bayfront view surrounded by lush tropical landscaping. The exquisite garden and koi pond transform this home into a relaxation nexus. The property features an excellent view of the Miami skyline and the nearby bay. It opens at a foyer with a two-story rotunda and vaulted ceiling. It is fitted with Tensui water purifier and lutron/creston systems for that optimum luxury residential experience. And with a theater and wine cellar, future owners can certainly bask in the classy delights of the high life in this spectacular waterfront home. This $42 million house is located at the Indian Creak Island and boasts lots of space—two acres of it. 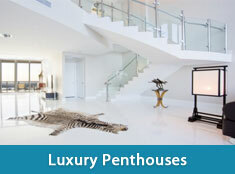 It has 200-feet of Biscayne Bay access and designed with quality and luxury in mind. The property offers its own theater, library, French country kitchen and formal living, to name a few. 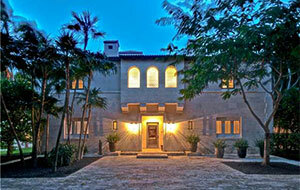 Downstairs, the elegant home features a seven-car garage, gym, wine, yoga and billiard rooms. With all those exceptional features, soon-to-be residents are guaranteed the best bang for their enormous buck. Lastly but certainly not the cheapest is the property located at Ocean Beach. The 1116 Ocean Drive home comes with the price tag of $75 million. It boasts spectacular views of the Atlantic Ocean and a generous square-footage of 23,462. The 1116 Ocean Drive has opulence down pat. It houses ten bedrooms with hand-painted walls and ceiling frescoes, making the mansion a truly modern masterpiece of interior design. The 54-foot long mosaic tiled 24K gold-lined pool is a definite must-see. And with museum-quality furniture within, the 116 Ocean Drive truly justifies its price with nothing less than the best in residential luxury lifestyle.